These kids are amazing -- Let's get them a new performance hall! Click here to make your gift! 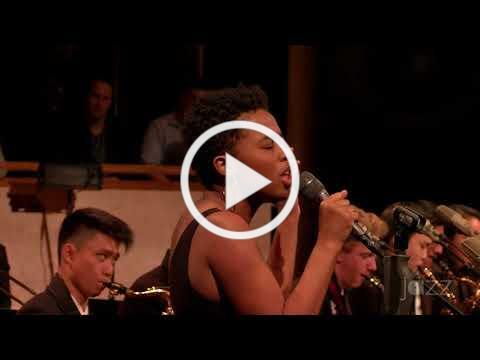 Those of us who spend all our time at Newark Academy are accustomed to seeing fantastic kids doing amazing things -- but this past weekend's performances by Chameleon, NA's nationally renowned jazz orchestra left us speechless. Taking the stage at Lincoln Center for the 2018 Essentially Ellington competition, Chameleon brought the house down with this rendition of Ella Fitzgerald's "Ain't Got Nothing But the Blues." From the first notes of the piano intro (Reshma Kopparapu '18) and the opening horns, our kids captured the audience and wouldn't let go. Saxophone solos by Michelle Lee '18 and Charles Pan '18 kept it going and then. . . well, then Sammi Powell '19 did Ella proud with tremendous vocals while Cosimo Fabrizio '18 enthralled with his guitar. 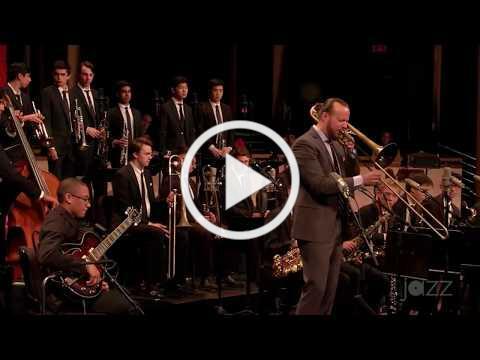 Chameleon is Newark Academy's top-level jazz orchestra and features 11 seniors this year. Don't worry -- Director and Music faculty Julius Tolentino has plenty more talent coming up through the ranks of NA Big Band and the Middle School level group, Iguana. Now all these kids need is a performance hall that matches their musicianship and passion. NA's current Rose Auditorium has been well-used since 1964. Plans for the renovation include expansion to 750 seats and updates to lighting, acoustics and technology at a cost of $4.5 to $5 million. Fifty percent (50%) of that cost must be secured by the end of this calendar year. Click here to make a gift or pledge to Rise & Flourish in support of the auditorium project or contact Lisa Grider at lgrider@newarka.edu or 973-992-7000, ext. 320. Launched in 2010, Rise & Flourish : The Campaign for Newark Academy is the catalyst for a generational transformation of the Academy. Thus far, gifts to Rise & Flourish provided 24 new classrooms (Middle and Upper School), three new science labs (Middle School), welcoming commons spaces and thecomplete renovation of Minuteman Athletics outdoor facilities. Beyond capital projects, donors to Rise & Flourish added $8 million to the Newark Academy endowment, including $5 million to fully endow the Newark Scholars Program.